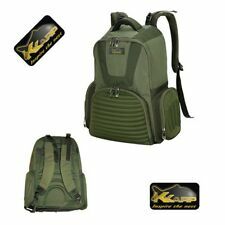 ZAINO STALK SHELL RUCKSACK LT. 40. LE TASCHE FRONTALI SONO RIGIDE PER PROTEGGERE IL CONTENUTO. ZAINO PRATICO E NON INBOMBRANTE. IL FONDO E' RIVESTITO IN ROBUSTO PVC. PRESENTA DIVERSE TASCHE INTERNE. CAPACITA' DI 40 LITRI. BORSA RIGIDA IN CORDURA DUE SCOMPARTI. CAYENNE ORGANIZER PLUS. UNO SCOMPARTO CONTENENTE UNA TAVOLA IN EVA PORTA RIG E TRE SCATOLINE PER MINUTERIA. 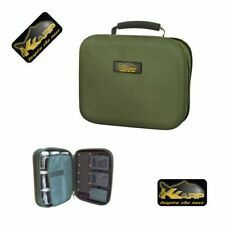 IDEALE PER PESCA A CARPFISHING. CHIUDIBILE CON ROBUSTA CERNIERA.